The Delray Beach Chamber of Commerce held its June business card exchange Thursday at Delux on Atlantic Avenue in Delray Beach. The even attracted 160 or so chamber members and guests, making it one of the Delray Chamber's better-attended networking event. The next exchange is set for July 9 at Avenue Pilates, 430-A NE 5th Ave., Delray Beach. 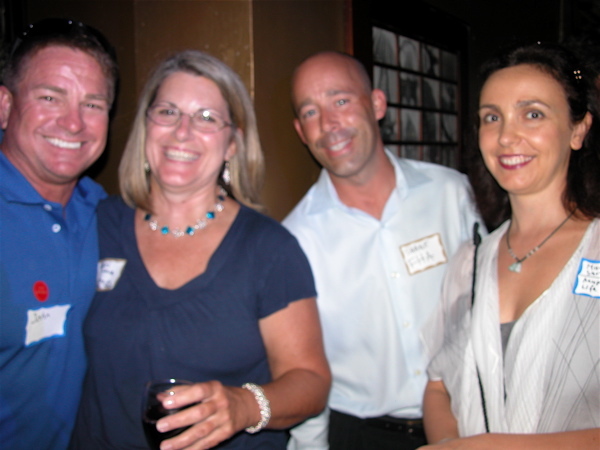 John Kennedy of Kennedy's Quality Homes of Delray Beach, left, with Kristi Love of Beads on the Avenue in Delray, W. Shane Turner of Supreme Lending in Delray and Maya Sarkisyan, an acupunturist with Transentient, soon to be in Delray Beach. 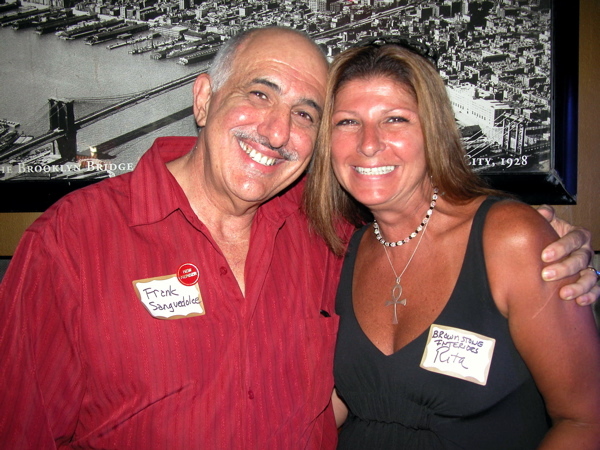 Frank Sanguedolce of Realty Associates in Boca Raton with Rita McCluskey-Cohen of Brownstone Interiors in Delray Beach.